We all would like to live in a safe and secure environment. Unfortunately the reality of our countries high crime statistics, forces us to protect ourselves by installing burglar bars and alarm systems to increase our home security. Traditionally when we think of ‘burglar bars’ we visualise old fashioned ugly steel bars. 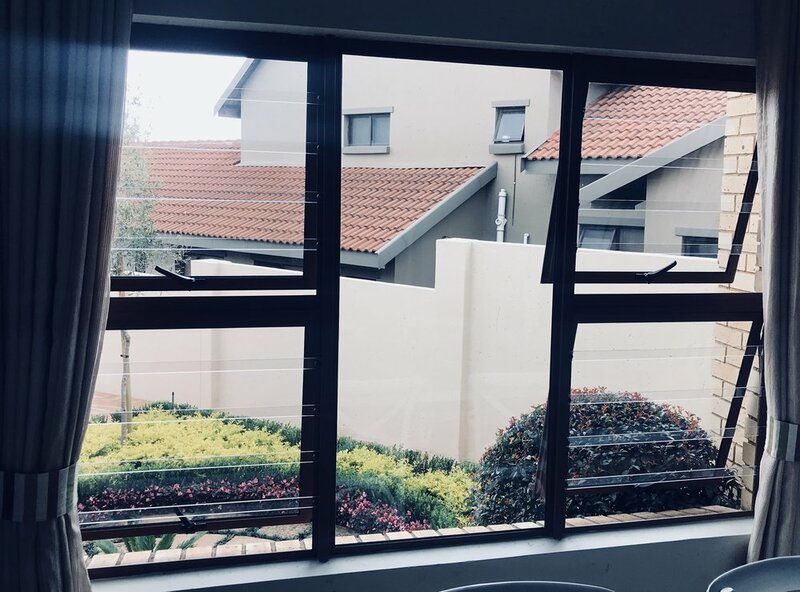 Often we hesitate to install these burglar bars since we are not keen on the ‘jail-like’ appearance it gives our house. Now with Clear View Security Solutions transparent burglar bar, you do not have to live in a property which looks like a prison. Your property can retain its modern aesthetics with the new and innovative transparent burglar bar. Clear View Security Solutions™ bars are uniquely designed transparent burglar bars made from a specific polycarbonate. These substances are among the strongest thermoplastics ever produced. It is impossible to break the burglar bars with stones, bricks or a hammer. The product has a tensile breaking strength of 3000 Kg's making it virtually indestructible. Polycarbonate is impact resistant and is widely used for riot shields, bulletproof windows and enclosures as seen in banks and moreover is rust and maintenance free. These bars have a 10 year warranty and are also UV protected. The bars are placed with a maximum gap of 120mm between bars depending on the length of the window. Each installation is different and is tailor made for maximum strength, look and feel. The technique and fitment will be discussed and agreed upon before any installation takes place. Clear View Security Bars are made from clear polycarbonate imported from Europe that has measurements of 6 mm thick, 30 mm wide, with bevelled sides to stop any chance of cutting oneself.